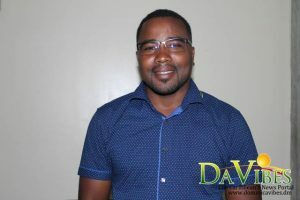 President of the National Youth Council of Dominica (NYCD) Paul Baron said this year the emphasis is being placed on the educational sector. Mr. Baron made this remark as Dominica joined the rest of the world, in observing Universal Children’s Day on 20th November, 2018. The United Nations’ (UN) Universal Children’s Day, which was established in 1954, is celebrated on November 20 each year to promote international togetherness and awareness among children worldwide. UNICEF, the United Nations Children’s Fund, promotes and coordinates this special day, which also works towards improving children’s welfare. “As a country our focus should be to what degree the education sector is meeting the needs of our students. We are concern about the rate of drop out. We have narrowed down those cases, to be as a result of dysfunctional families and also some students are not academically inclined and have a certain tendency towards skills development. Where the education sector does not meet that need, frustration arises and unfortunately students leave school prematurely, Mr. Baron stated. Mr. Baron says children should be involved in positive actives which will assist in their development. “I think as a country we should also be concern of how involve students are in extra curriculum activities. The goal should be to keep students as engaged as possible, channeling their energy into positive activities to include music, sports, art and craft,” Mr. Baron said. Mr. Baron said he thinks that the education sector should seek to address the Dominica students and the Caribbean by extension.